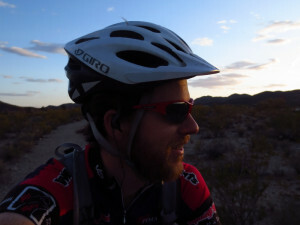 Mountain biking the Arizona Trail. Photo by Scott Morris. 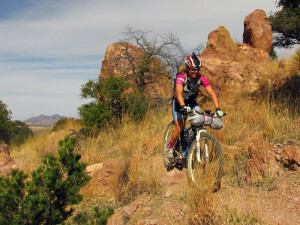 The Arizona Trail is an elaborate setting for a mountain bike adventure. The often narrow, usually rocky path traverses an entire state the hard way — across lonely deserts occupied by amusingly anthropomorphic saguaro cacti, through the intimidating arteries of deep canyons, over rugged mountains, and down and up “the big ditch” where the only passage for bicycles is on a backpack, all the way to the Utah border. 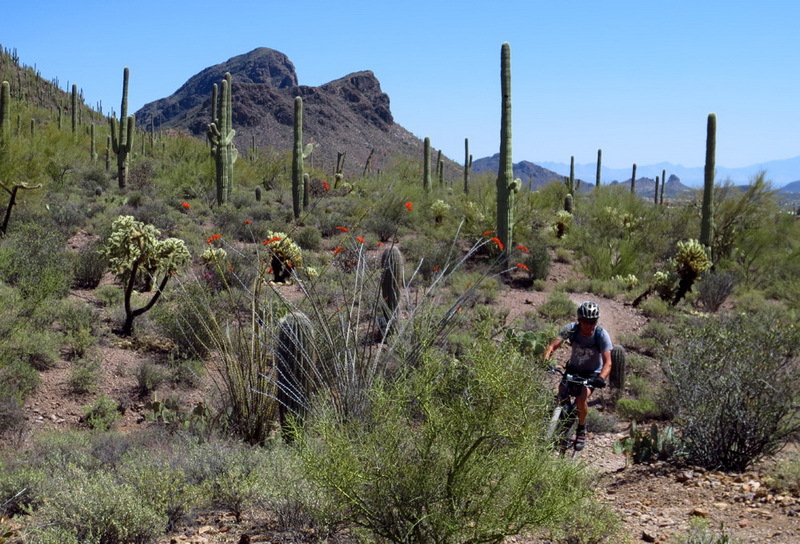 And on Friday, about fifty mountain bikers will line up to binge on big adventure by riding a portion or the entire Arizona Trail as fast as they can. The eighth annual Arizona Trail Race launches at 9 a.m. April 19 from Parker Canyon Lake, the southern end of the Arizona Trail near the Mexican border. From there, 50 or more riders will start pedaling some 300 miles north for the AZT300; about 18 of those will aim to continue all the way to the Utah border, crossing the Grand Canyon and riding about 730 miles in the process. The Arizona Trail Race is the brainchild of Scott Morris, a Tucson-based mountain biker and mapping software designer who has long been advocate for the Arizona Trail. He devised a route that includes dirt and paved detours to bypass wilderness sections of the official Arizona Trail, but largely follows long sections of the kind of rugged desert singletrack that most mountain bikers crave. Morris is well-known in the bikepacking community for his love of brutally technical terrain and punishing steep hike-a-bikes. 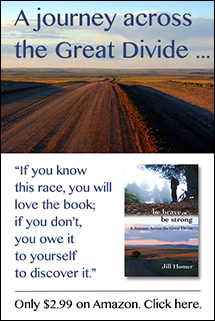 He currently holds the record for the 300-mile race: two days, five hours, and ten minutes. This year, he plans to load up his bike on his back and cross the Grand Canyon in pursuit of the 730-mile record, which is currently held by Kurt Refsnider at seven days, six hours, and 35 minutes. Although Morris has more than eight solid years of practice on the Arizona Trail, he said chasing Refsnider’s stout record is going to be difficult. Eszter Horanyi is taking on the 300-mile race. Photo by Scott Morris. The action begins at 9 a.m. Friday morning. Fans can track race progress at http://www.trackleaders.com/aztr13.